I was at a particularly low point, not just feeling sorry for myself but feeling lost and without any sense of direction. 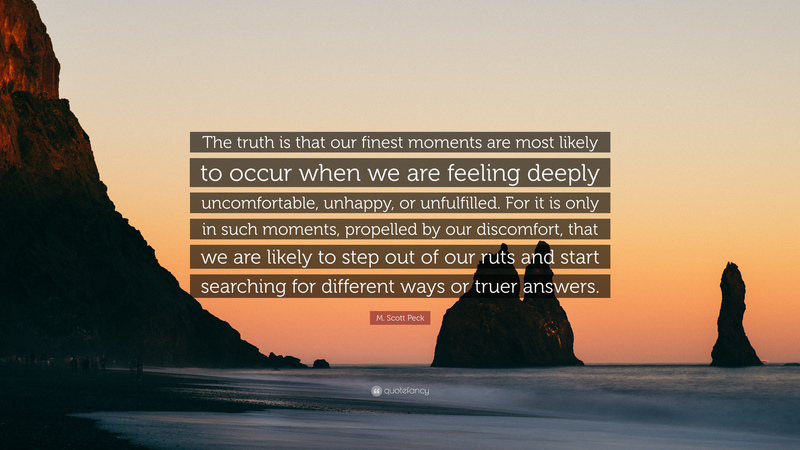 On accident, I stumbled across the Peck quote and as if fate had intervened, something woke up inside of me. Whenever I am feeling low, particularly when my anxiety rears up or I’m feeling particularly alone in the world, I remember that some of my greatest moments will be born from some of my worst. I can’t promise a quote will set you on the right path, but if you’re in a negative space, try and draw inspiration and motivation wherever you can. And if things are really bad, ask for help from a trusted professional or friend.